Very often the environment inside an oven contains vapors from the process which may condense on cooler surfaces inside the oven. When an IRt/c is used inside the oven to monitor the temperature of the process, the IRt/c must be cooled if the environment is above 212°F (100°C). Using the convenient IRt/c Cooling Jacket Kit available, either air or water may be used. 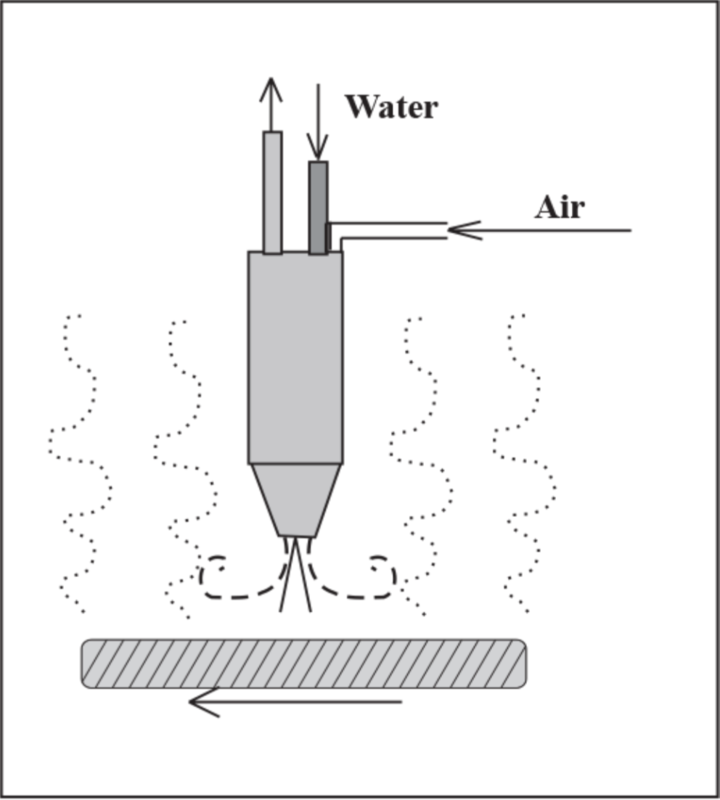 For temperatures above 700°F (370°C) water is required, along with a small amount of purge air. It keeps the IRt/c lens clear of vapors that would condense on its window, since the window temperature might be below the condensing temperature of some of the vapors of the process. The internal convective heat transfer characteristics are optimal for cooling at very high environmental temperatures. The IRt/c.3x is particularly suited for this service since the air consumption required to keep its lens clean is as little as .01 CFM (300 cc/min). A small convenient self-contained air pump is available.